And What An American. 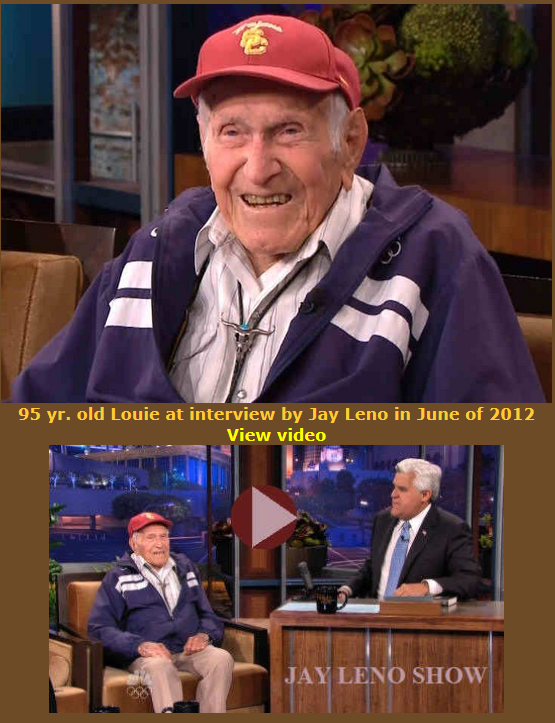 His name is Louis Zamperini. If he is not the poster child for an All American than there are none. I saw him on Leno in 2012 and was shocked just hearing him being able to speak after what he had gone through. 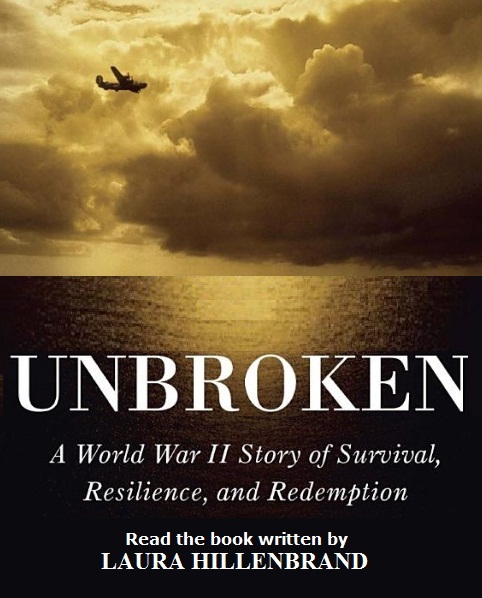 I did what I rarely do, I immediately bought his book “Unbroken: A World War II Story of Survival, Resilience, and Redemption.” His story was told in Laura Hillenbrand’s 2010 best-seller, and is the subject of an Angelina Jolie-directed film by the same name being released in December. In May, Zamperini was named grand marshal of the 2015 Rose Parade in Pasadena, California, which next New Year’s Day will feature the theme “Inspiring Stories.” In accepting the honor, Zamperini, wearing a USC cap, recalled that Hillenbrand, in researching the book, asked to interview his friends from college and the Army. Posted July 3,2 104 at The Blaze – LOS ANGELES (AP) — Louis Zamperini, an Olympic distance runner and World War II veteran who survived 47 days on a raft in the Pacific after his bomber crashed, then endured two years in Japanese prison camps, has died. He was 97. 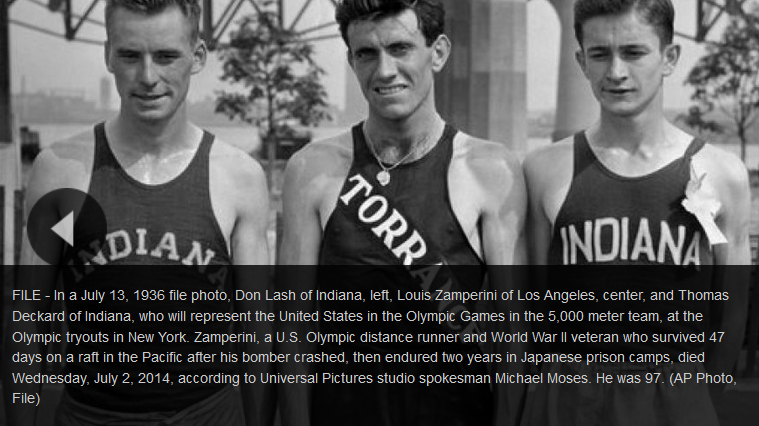 Zamperini’s death was confirmed by Universal Pictures studio spokesman Michael Moses. A family statement released early Thursday said Zamperini had been suffering from pneumonia. In a Oct. 3, 1945 file photo, Capt. 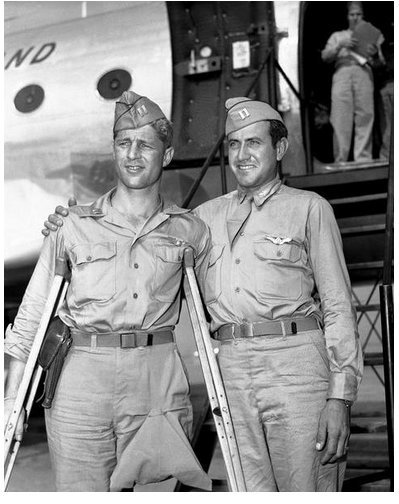 Louis Zamperini (right), Torrence, Calif., stands with his Pal, Capt. Fred Garrett, Riverside, Calif.